My mother was the third lady to ever be accepted for training at the Spanish Riding School and she trained my sister and myself in Dressage. 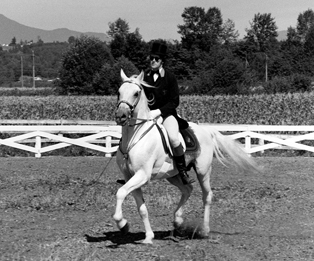 I started riding as a young person with my mother as instructor and then worked with many hunter/jumper instructors as Dressage was not a very popular item at that time. 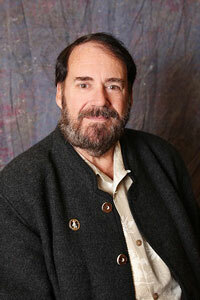 I continued as a working student and barn manager in high school and an assistant instructor in college. I was tested in Vienna at the Spanish Riding School as a rider in 1972 and succeeded in getting listed on their roles as a rider after a week of testing. My FEI Gold Medal was also earned in 1972. The opportunity to learn the airs above the ground work at the SRS was presented, but I declined as I wished to attend College instead, and the stress of showing and working with my mother as instructor was tiring. I became interested in and involved with The Dressage Foundation while serving as the Chair of the Budget and Finance Committee of USDF. It has been very meaningful to me to see the educational opportunities expand and grow within the Foundation. While my early dreams were to be a veterinarian and to ride and teach, my current goal is to train a working student to be good enough to take over my riding establishment so that I can retire.